Okay... I've posted on this before... and I've written a bit about starting nuts here, but it's really too juicy a topic to cover in just two little posts. The following is my do-it-yourself guide to starting a variety of trees from seed - with plenty of pictures I took of my own projects. Yes - they're not huge trees yet - but they will be. I've only been at this for three years and I'm already amazed by some of the successes. I'm madly in love with seeds. They're cheap, readily available and could potentially grow into something amazing. The promise contained in a tiny seed is incredible. 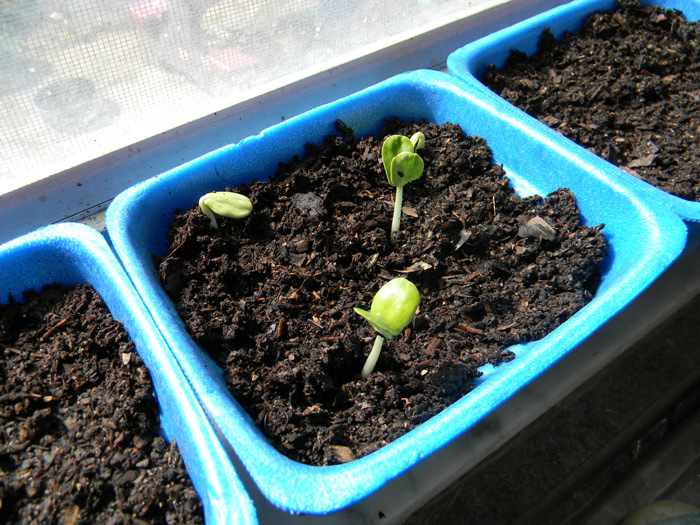 Baby carob trees sprouting in a sunny window. However, when it comes to growing trees from seed - fruit and nut trees in particular - we're almost always told "don't do it!!!" "It won't breed true!!! You'll get tiny/bitter/nasty/worthless fruit!" Really? When you save cabbage seed and plant them the next year, do you get tiny/bitter/nasty/worthless plants? No! The reality is, you won't get exactly what you started with, but most of the time, you'll get something worthwhile. There are always genetic traits we don't like that may pop up, but most of the time, you get something decent - or even excellent - when you plant seeds, fruit trees included. 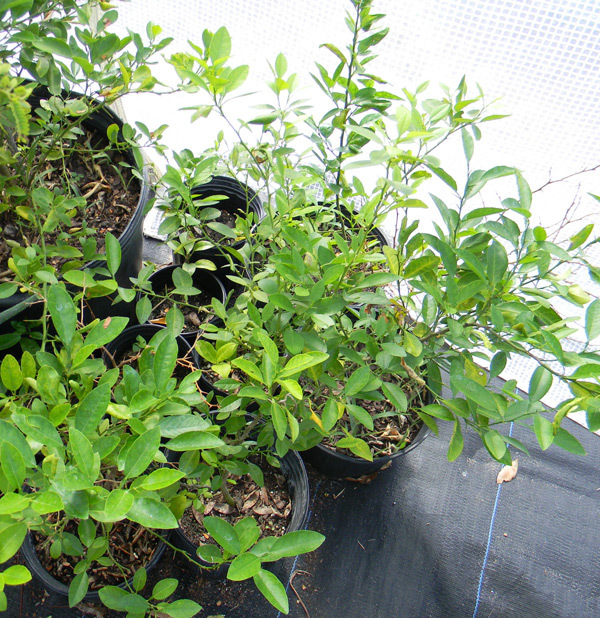 1-2 year old citrus seedlings in the greenhouse. Unlike grafted trees, trees that grow on their own roots are often tougher and larger, if not always as productive. Grafting is very useful for commercial farms because it allows them to grow exactly the variety they want. The navel orange, for instance, is a cloned variety that's been around for almost 200 years. The same genes... replicated ad infinitum via cuttings and grafting. It's amazing - but in my mind, not the safest thing to rely on when you're dealing with diseases, pests and changing climates. Where do we get new varieties with disease resistance, larger fruit, higher cold-hardiness, etc.? We get them from planting seeds and seeing what hidden gems might pop out of the plant's genome. Of course - this doesn't happen overnight. Unlike corn, you can't breed trees quickly. It takes a long time to go from seed to producing tree. Sometimes prohibitively long. But that doesn't mean we give up. That just means we start planting right now. I fully intend to get a variety of something named after me before I die. I'm really not picky - it just has to be something tall, productive and handsome so it compares well with its namesake. 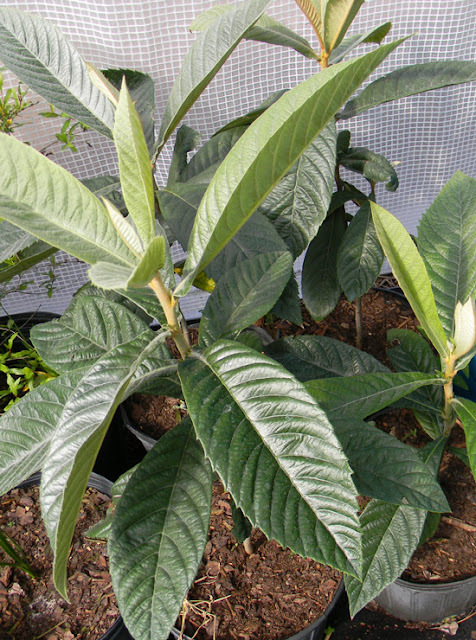 If you're ready to get started with starting trees from seed, the loquat is a great first candidate. It's in fruit at this time of year, so it's likely you can nab some seeds easily. Now let's look at some various trees and how to start them. They're about 2' tall now and growing fast. Pretty much ready to be planted out. Loquats start quite easily from seed and don't need stratification or scarification to germinate. Just pop a handful of fresh pits in the ground and start watering. Most will sprout. When they do, carefully pull out and pot up the ones you want to keep - then plant the rest on a local foreclosure property. It's over 4' tall and thriving. Interestingly, unlike some citrus, key limes breed true to type. 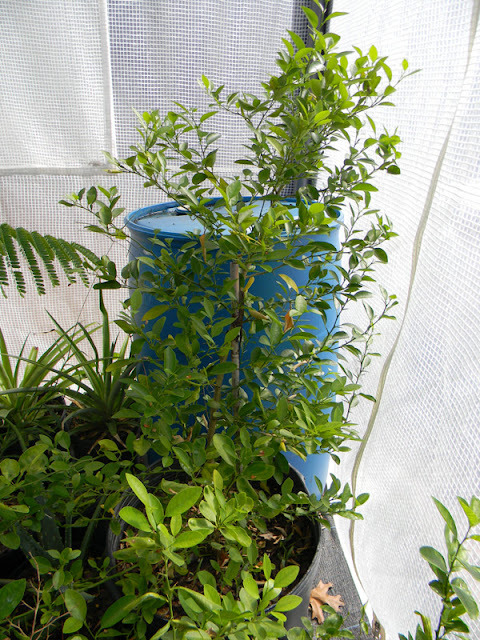 Plant a key lime seed, you'll get a key lime tree. Most citrus will give you something edible and similar to their parent (see tomorrow's post), but not all. From what I've heard, cross-breeding is often a possibility, as is the occasional reversion to a sour variety. Plant citrus seeds when they're fresh as they don't last long. If they dry out, they're dead. Avocados are another easy-to-grow tree. Almost every year when I was a kid, my grandmother would start pits impaled with toothpicks and suspended in water. They would grow 1-2' tall in her window, then she'd transplant them out to her backyard where they would invariably die of neglect. This was sort of a hobby of hers, I suppose. (I miss her tons... I wish she was alive so she could read this post and scold me...). The tree below was started from a Hass pit. The Grandmother Method of starting avocados works well, as does simply burying the pits near the surface of the ground and watering them occasionally until they sprout. Some always will - and avocados also will grow into good trees from seed. I started a pit from a Thai variety with massive fruit the size of cantaloupes, then planted the year-and-a-half old tree in my parents' backyard. You can see it here. It bore fruit within a year of me planting it - and, as you can see, it's working on another round right now. Dwarf pomegranates aren't as tasty as the full-size trees, in my experience, but they're still edible. I let the kids spit pomegranate seeds onto paper towels to dry - and then we plant them. They also lose viability over time, so plant earlier rather than later. One nice thing about pomegranates is that they are precocious trees - they only take a few year to bear fruit. I've no idea whether or not date palms will survive here, especially with our humidity and the various palm diseases spreading across the state - but when you start with seeds, the experiment is basically free. The little palms below were started from a container of dates I bought for a picnic. Yep. My date palms came from the supermarket. Unfortunately, starting date palms from seed is slightly tricky. 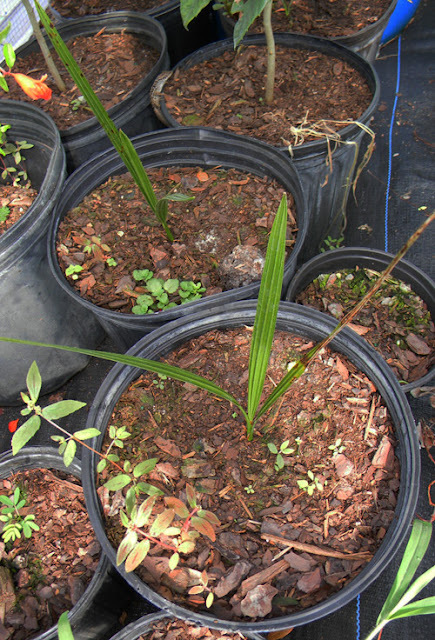 There's a lot of strange info online involving various tricks for starting palm seeds. This method worked for me. First I scrubbed the flesh off the date pits, then let them dry for a few days. After that, I soaked them in water for a couple of days, changing the water frequently so they didn't rot. Then I planted them a couple inches deep in a terracotta pot of moist vermiculite and set that on top of the water heater. A couple months later, I dug in to see what was going on and discovered a few of the seeds had developed roots. I took those out and put them in pots outside to continue growing. I had sporadic germinations occur on top of the water heater for another month or so, and I potted those out as well. After a few weeks outside, they'd poke up leaves and it was off to the races. Overall, I'd say I had a germination rate of maybe 25%. Peaches are tricky in Florida for a couple of reasons. 1. They require rather specific chill hours. If you plant pits from the grocery store, chances are the tree will never thrive even if it manages to reach maturity. Unless they're bred for it, they can't set fruit without getting enough cold. Their dormancy cycles get messed up, they flower sporadically, they tend to get frozen down at weird times, etc. 2. Nematodes can be deadly for peaches. 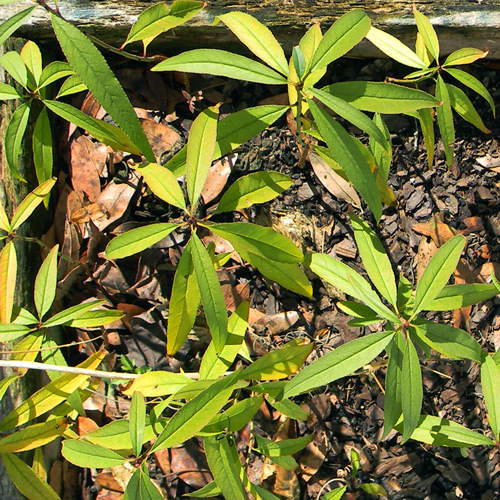 There's a root stock used here called "Nemaguard" that is resistant to the darned things - but when you plant from seed, you're playing the lottery. Those two contingencies haven't stopped me. I plant them anyways. In the summer of last year, I got a bunch of fruit from the popular low-chill cultivar "Tropic Beauty" - then I did what any mad horticulturalist should - I figured out how to germinate the seeds. Unlike our previous subjects, peaches need stratification to germinate. That means they need a cold period - a real or simulated winter - in order to start growth. Here's how I started mine. First I cleaned and dried a pile of pits, then carefully cracked them open with a nutcracker and removed the seeds inside. I then soaked those in water for a day or two. After that, I put them in baggies of moist potting soil and popped those baggies in the refrigerator. About two months later... a miracle happened. The pits started forming roots. As they did, I put them out in pots and flats to grow - which they did quite well. Now I'm sticking little peach trees in the ground around my yard and hoping they survive the nematodes. Total cost? $0.00. Growing trees from seed is cheap and satisfying. If you have more time than money - or like to experiment - or need to fill a large area with trees - this is the way to go. I took all the pictures in this post last week. Those trees basically cost me nothing. If you plant seeds every year, you've always got something new coming up... and trees growing older and bigger from last year... and the year before... and the year before. It's not an instant gratification thing, but over time you can get a wonderful variety of trees going and find excitement in knowing that no one else has the varieties you're growing. If you plant plenty of seeds, you're bound to get some good trees. If one of your home-grown trees produces poorly or bears sour fruit - so what? Graft onto it. Cut it down and make a melon pit. Turn it into wood for your smoker. Make marmalade! What did it cost you? $0.00. There's no risk! And who knows - maybe one day, just like me, you'll get a variety named after you. Ditto to everything you said. 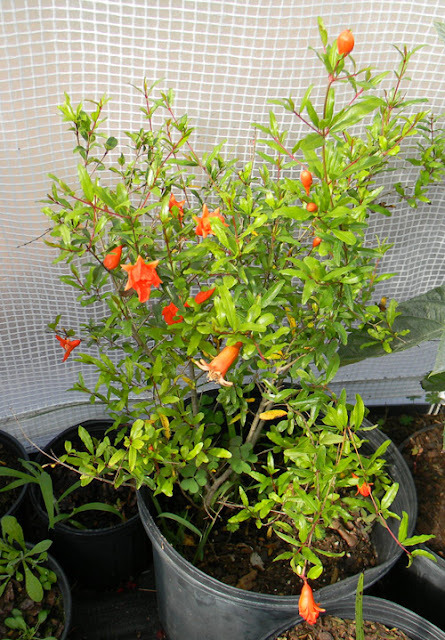 People often forget that most commercially grown varieties were once just chance seedlings that someone selected for their superior traits and then propagated. If we stop growing things from seed, there's no chance of ever getting anything better than what's already available. "If we stop growing things from seed, there's no chance of ever getting anything better than what's already available." That should be a bumper sticker. Looking good there David the Good! 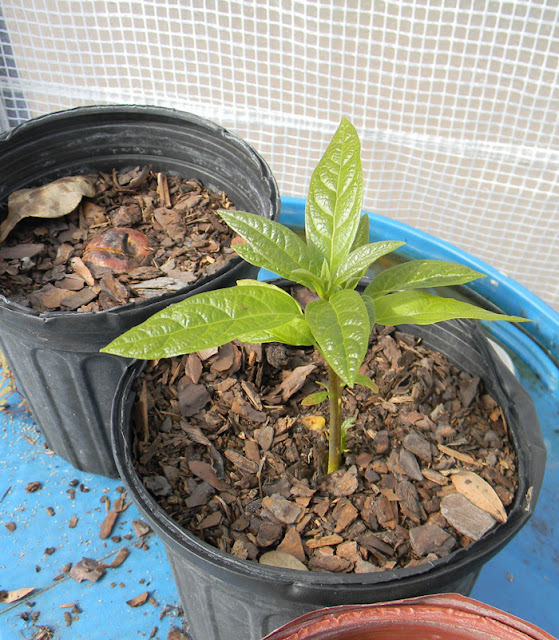 I like Avocados grown from seed...they are so vigorous and grow very fast into an attractive tree. I've heard fruit can be variable on them though. Yes - they'll become a big tree quickly with a little care. I have a friend in South Florida who grew an absolutely lovely tree with great fruit in his backyard after being given a seedling from a good parent. Variable, I'm sure, but I tend to plant extras of everything just in case I get a bad egg, er, fruit. Also - I think not going through the trauma of grafting has an impact as well. Forests have no artifical propagation - neither from grafting nor from stem cuttings, and seeds are the only source of uncountable fruits in the forests..!! So as you say propagation from seeds is very natural. Enjoyed your article a lot. Thank you, Devang. You're totally right on forests renewing themselves. That's particularly true in the tropics - the amount of fruit is uncountable. Question....I planted pear seeds last year, kept the pot indoors and was about to toss it thinking it wasn't going to do anything. Almost an entire year later it sprouted, and began to grow. Now it's growing like wildfire but it doesn't look like any pear tree I've seen. It looks like a weed really but it's never been outside?? Hi Barb. It might be a pear... and it might be something else entirely. Can you e-mail a photo? I'll do my best to ID it. Love this article. I have a little pomegranate sprout right now. I don't know if it will turn in to anything where I live (Pacific Norhtwest) but like you point out, there is no harm in trying! Thank you - and good for you for starting one! They grow fast and well. I'll bet you could pull it off. Your big problems: cold and damp. If you plant it against the south wall of your house in gravelly soil that drains away from the foundation, 10-1 it grows for you. Look up my Key Lime articles on here... it grows despite being in the wrong range.